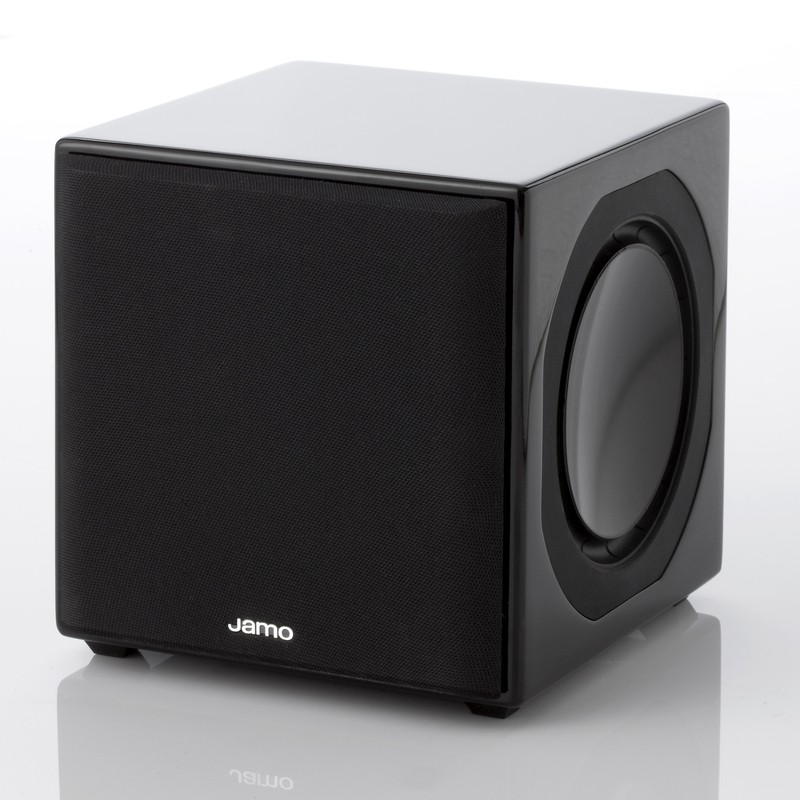 The Jamo SUB 800 is a front firing subwoofer featuring three 6.5" drivers... one active and two passive. 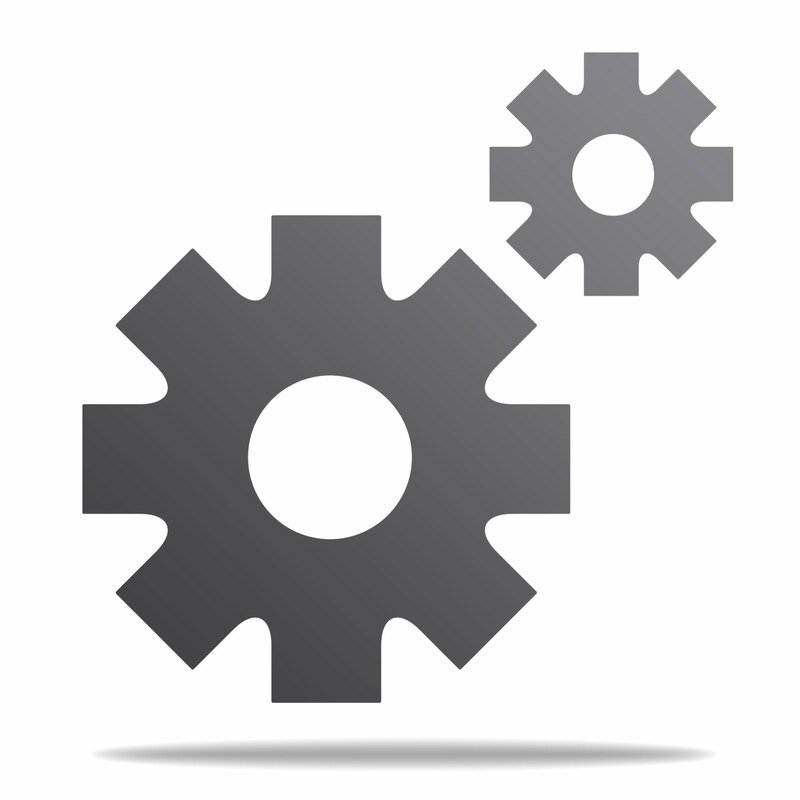 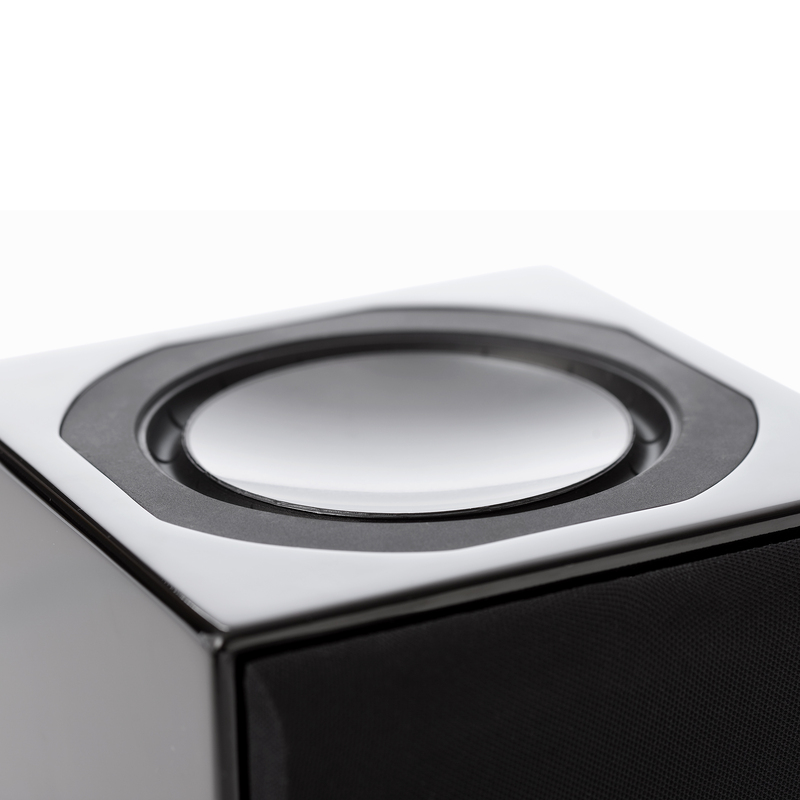 All drivers utilize high-stress aluminum cones for the best possible transfer of heat from inside the cabinet. 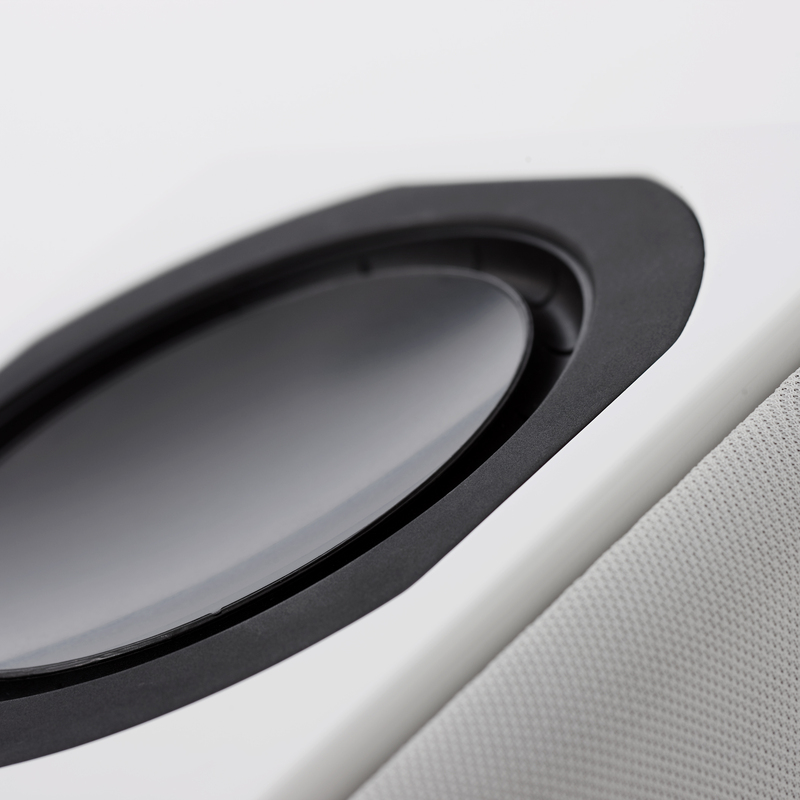 High-gloss finish hand-sanded to perfection... 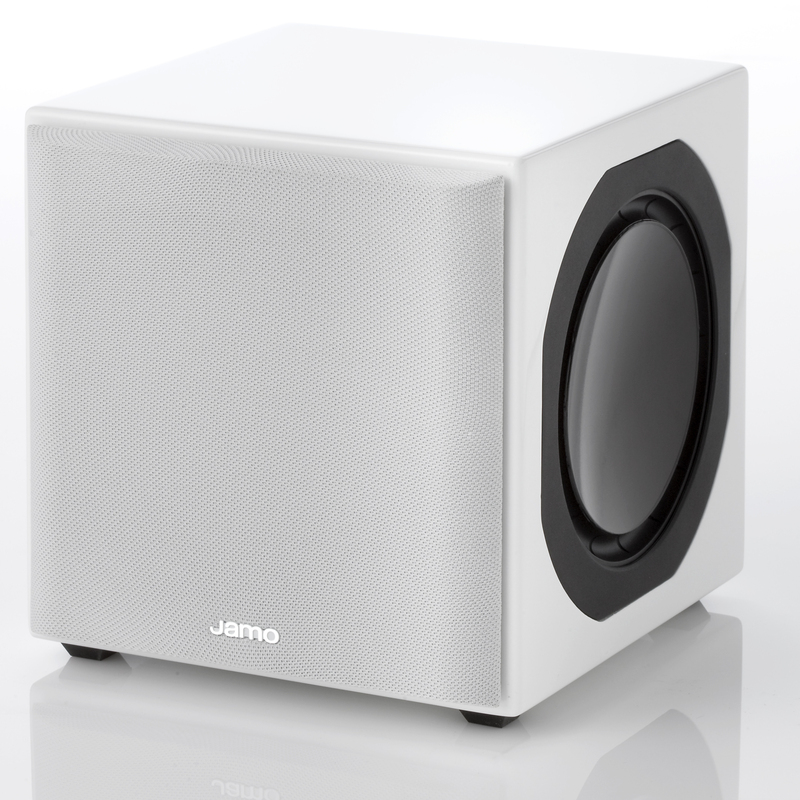 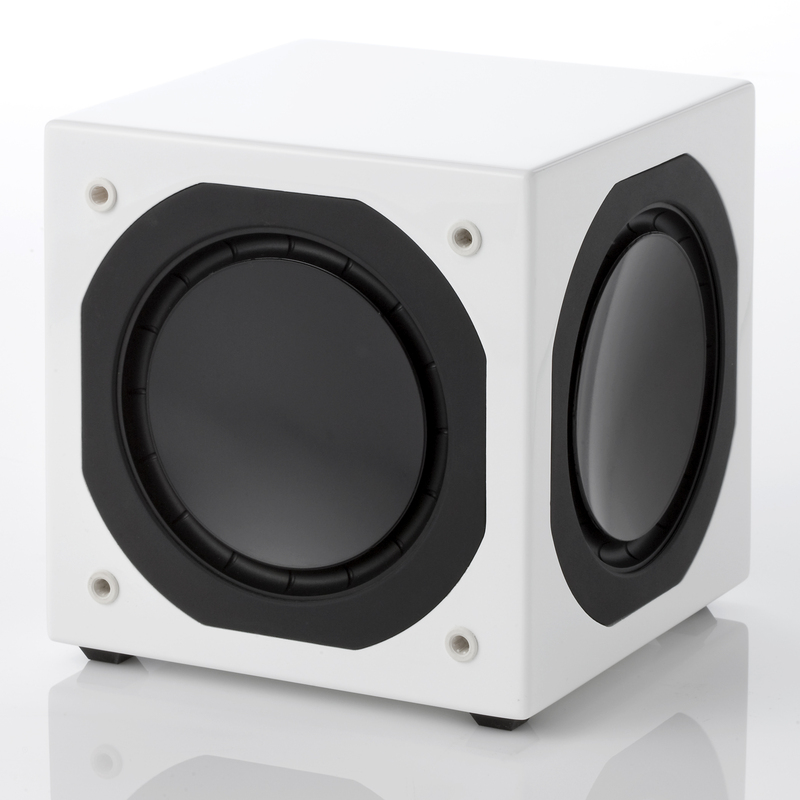 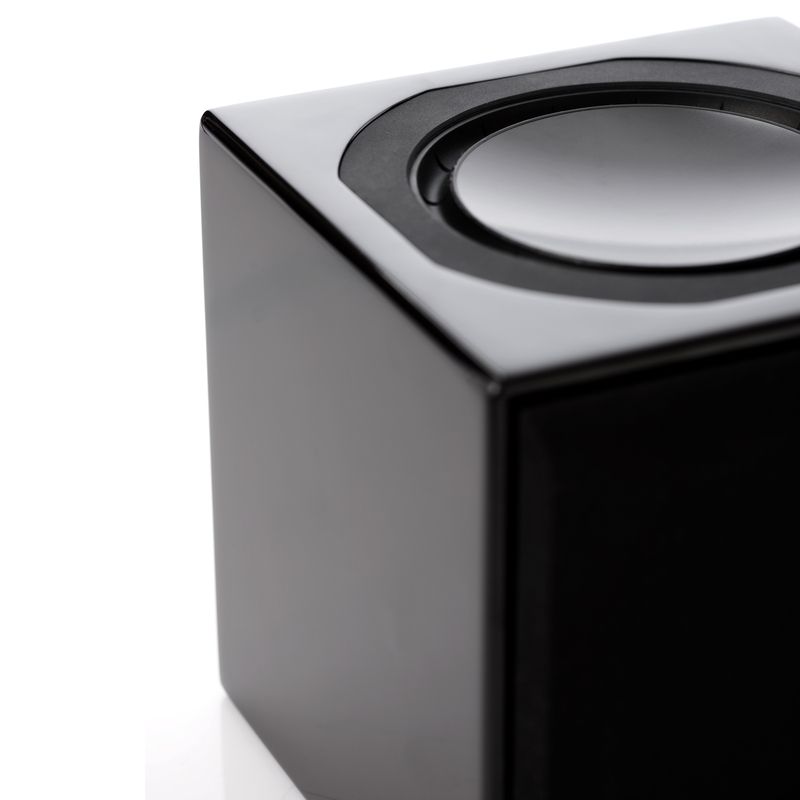 The Jamo SUB 800 is the first in the new generation of small, powerful subwoofers. 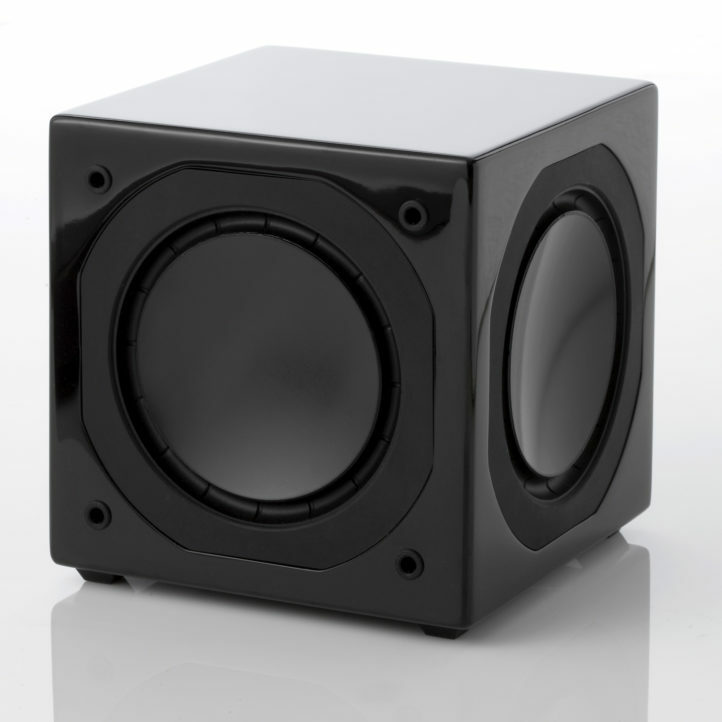 At a very small size (8x8x8"), the Jamo SUB 800 can be plac wherever décor dictates. 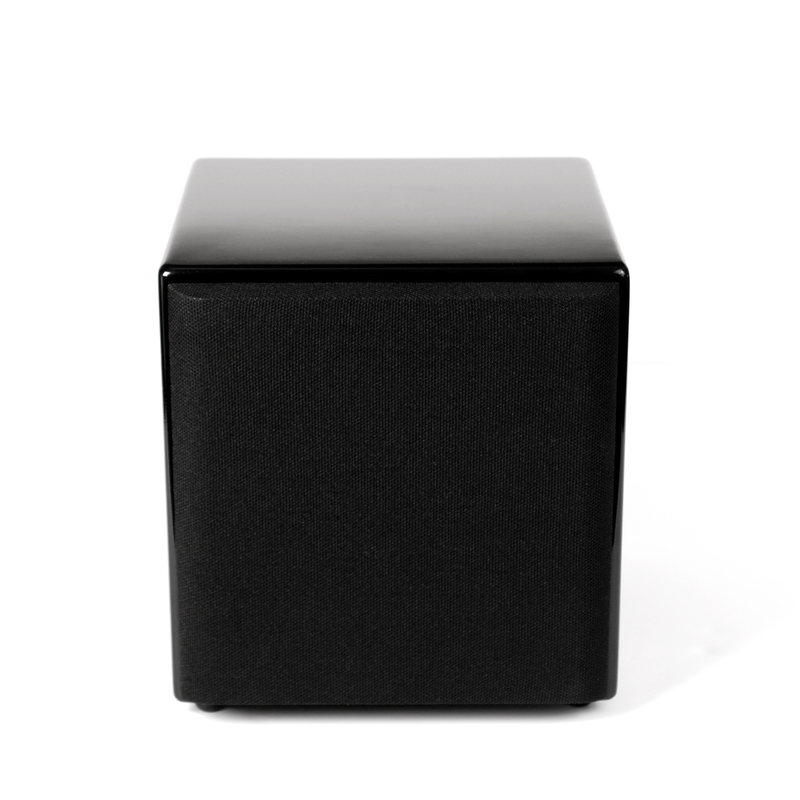 Its stunning finish and design make it a perfect partner for stylish, modern homes. 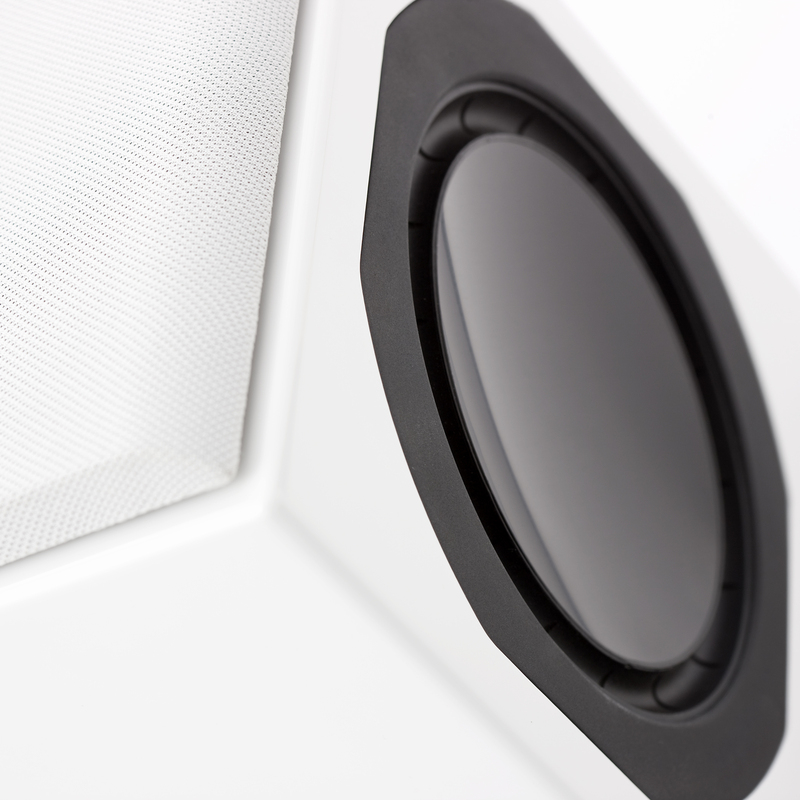 Not only does the size allow greater freedom aesthetically, flexibility in placement also yields acoustic advantages. 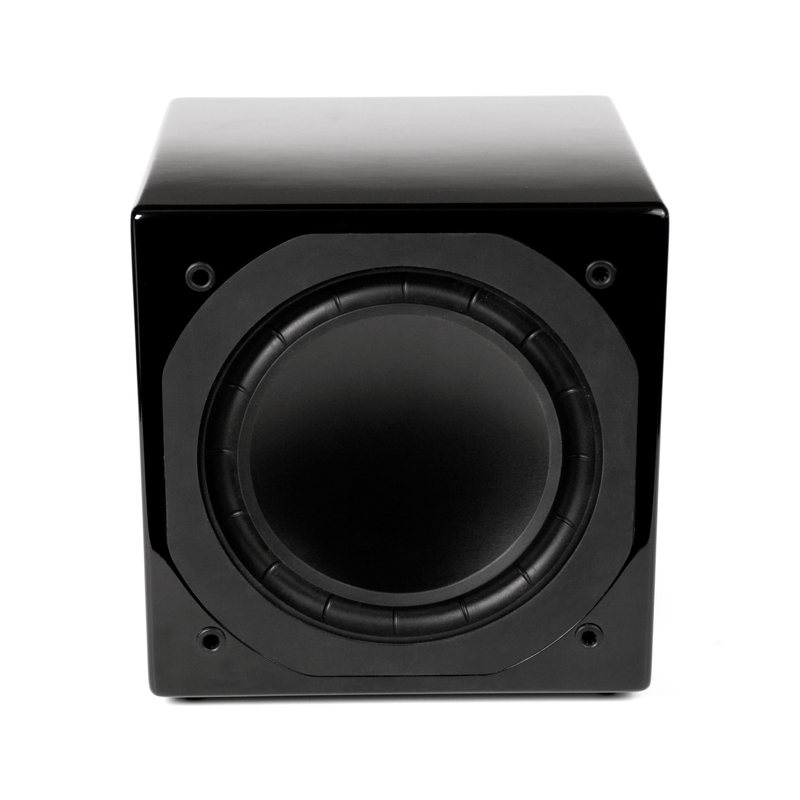 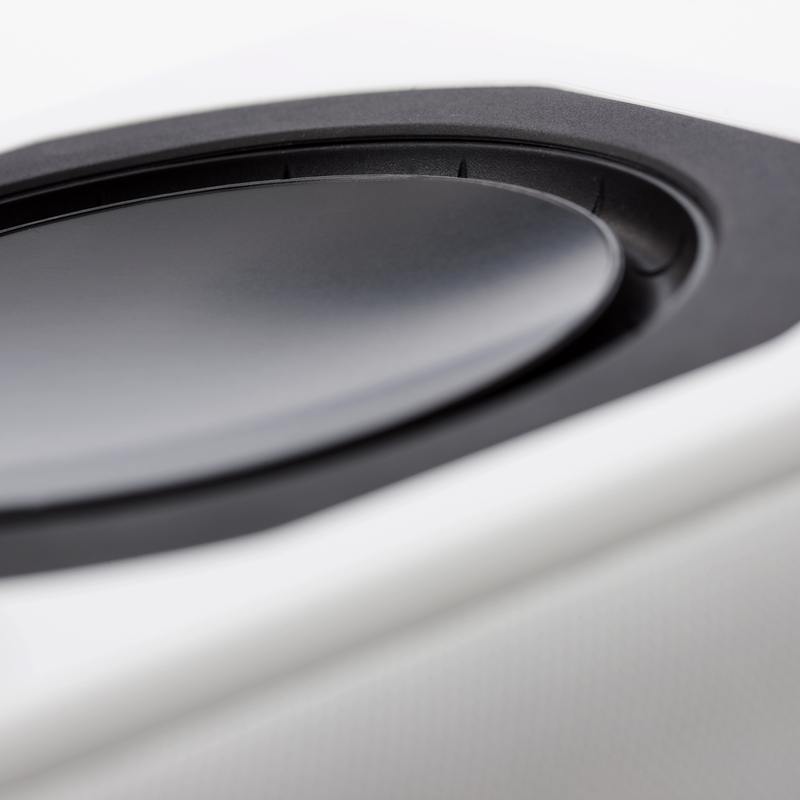 The performance of the SUB 800 is belying its small size, easily outperforming many larger subwoofers by providing deeper, cleaner performance, even at high volumes.